Do B2B Brands Need to be "Ideals-Driven?" RainCastle is pleased to be working with Jim Stengel, former Global Marketing Officer of Procter & Gamble, and an industry leader in the fields of Marketing, Brand and Business. While everyone has come to recognize the power of brands, it can still be challenging to quantify the value one's brand adds to the bottom line. 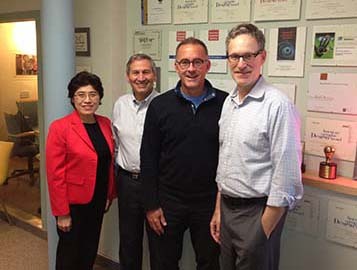 Jim Stengel, through extensive research, identified the connection between financial performance and customer engagement, loyalty and advocacy. Essentially, he found that the companies with the best financial performance are what he calls "ideals-driven companies," i.e., ones in which the mantra of "improving people's lives" is indigenous to their vision, values and culture. When I asked how the idea of an ideals-driven brand plays to B2B, Jim said many of his clients are B2B companies and the notion of improving people's lives just takes a different form than with a consumer company, such as Nike or Apple. His contention is that people are people and will always feel empowered when feeling that their product or service has a deeper purpose than its immediate function. 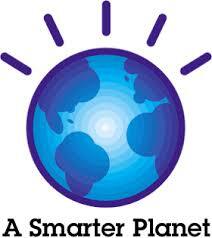 IBM's "Let's Build a Smarter Planet" is one example of a B2B that has embodied their brand ideal. And at the end of their TV commercials, the voice over proclaims, "I'm an IBMer," giving the ideals-driven brand a personal touch and making us feel that everyone at IBM is united in the mission to build that smarter planet. 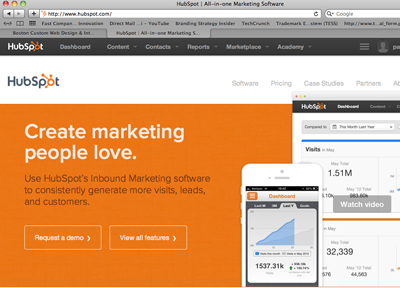 "Creating Marketing People Love," is marketing software vendor, HubSpot's tagline. HubSpot is one of the most vibrant B2B's around and it is plain to see that they are an ideal-driven brand whose financials have grown at an enviable clip. Their tools help businesses increase leads and convert those leads into happy customers — a sure way to improve people's lives. HubSpot puts an enormous amount of passion and energy on educating their partners and customers, providing white papers, eBooks and webinars, so their customers will be successful. Brands are often described as needing to satisfy a balance of rational and emotional needs. One might sound the familiar refrain that B2B markets and their decision making process are necessarily more rational than in consumer markets, because they are often selling higher value products or services, which require many decision-makers. But it still comes down to people selling to people. And people are moved by emotional ideas. This means that a strong B2B brand is expected to posess all of the rational attributes, but will truly rise above by offering an emotional benefit found in authentic brand ideals. In the B2B world, How important do you think ideals-driven brands are?